How do I optimize my costs? How do AWS, Azure and GCP pricing compare? How do AWS, Azure and GCP SLAs compare? When should I use Function as a Service (“serverless”)? This site is a place for discussion and feedback, both on the book in particular and on cloud sourcing issues in general, via the Reader Forums and Blog page. 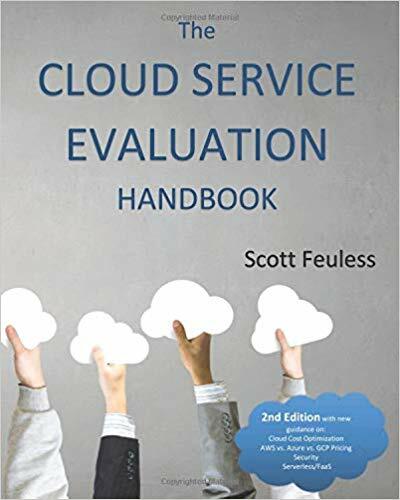 Separate forums are provided for each cloud metric, and all are moderated by the book’s author. As time goes on more and more useful tools and information will be provided here to assist with your evaluations. See the metrics, exchange experiences, provide feedback and ask questions!